After almost a year of preparation, Chinese-born Jia Jingru, now living in Paris, has finally imported 10 Chinese wine brands to France, a country known for its vineyards and fine taste in wine. "Importing Chinese wine to France is not easy and has slender profits. Even though many Chinese companies want to boost their brands globally, they do not know how to promote, and their budgets are very limited," Jia told the Global Times. As the Chinese wine market booms, more and more Chinese investors have chosen to buy wineries in France. More than 150 - or 2 percent - of the vineyard chateaus in Bordeaux are now owned by Chinese, and China is the top export market for Bordeaux wine, China Business News reported, citing industry estimates. However, China's domestic wine production has seen a constant drop in recent years. The latest data released by the National Bureau of Statistics showed that China's wine production was 1 million kiloliters in 2017, down 5.3 percent on a yearly basis. Insiders have pointed out that the country's overall decrease in wine output is mainly due to structural overcapacity and a surge in imported wine. Despite the same level of quality, imported wine performs better than domestic brands because it is seen as an exotic product, making it more appealing to Chinese consumers who want to treat friends with imported goods or send an impressive foreign gift. "Chinese wines have won several awards, but few Chinese have heard of them. That is the reason why I am doing my best to help domestic wine companies enter the wine market in France and gain more popularity overseas," Jia said. In October 2018, after completing a complicated administrative process, Jia was able to bring 2,100 bottles of wine from four different companies - representing three major production areas in China - to Paris. And with that, Chinese wines officially made their debut in restaurants and stores. According to Jia, the wine mainly came from small and medium-sized wineries in Hebei and Shanxi provinces and Ningxia Hui Autonomous Region. To her surprise, French professional sommeliers were polarized on Chinese wine. 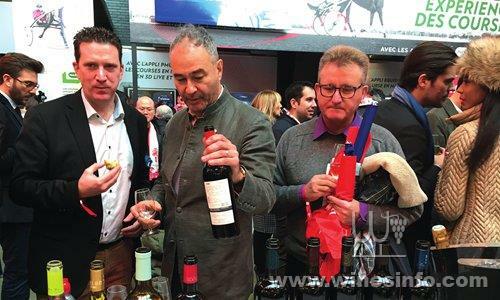 To promote Chinese wine in France, Jia has organized several events, including roundtable discussions, seminars, tasting fairs and exhibitions, to demonstrate China's wine-making skills. Her next step is to help these wines find their way into French hotels. Jia's plan was hatched after seeing China's wine industry in disarray 10 years ago and observing that Chinese people knew little about wine. "They knew that French wines are the best in the world, but they couldn't tell what is good or bad," Jia said. In 2011, Jia established the Chinese version of one of France's most influential wine magazines, La Revue du vin de France, in China with the hope it would help Chinese people learn more about wine and improve wine-related exchanges between China and France. In 2016, the magazine organized an international tasting competition and a group of young Chinese sommeliers, with an average age of 25, won in France. Jia called the result "a thunderbolt in the wine world." Emma Gao, who went to Bordeaux to study winemaking in 1999 and later established her own winery in Ningxia, is one of Jia's clients. Gao, who runs the boutique winery Silver Heights, located in the foothills of the Helan Mountains in Ningxia, has helped change the world's impression of Chinese wine. According to Gao, one of her winery's brands has been displayed in La Cité du Vin, a wine museum in Bordeaux, as one of the world's top red wines. Gao said that wine can help enhance people-to-people exchanges between China and France. In the eyes of Jia and Gao, wine is not only a channel for intercultural exchange, but has also had an influence on the poverty alleviation efforts of local governments. When Gao first entered the wine business, Ningxia's wine industry was practically nonexistent. But the region, known for its dry terrain, has gained a global reputation as a winemaking hotspot in recent years. Ningxia now has 40,600 hectares of vineyards, 86 percent of which are for winemaking, making it the largest region for grape cultivation in China. By 2020, it aims to add another 6,000 hectares. The vineyards will produce about 200 million bottles of wine annually, bringing in at least 1 million tourists, the Xinhua News Agency reported. Located between 37 and 40 degrees north latitude, Ningxia has hot sunny summers and severely cold winters, resembling the continental climate that is ideal for vineyards. The region started to introduce grape varieties from France in 2013 and has quickly grown to become home to the country's largest contiguous swath of vineyards. Local reports said Ningxia exported its first shipment of 2,337 boxes of wine to France in February, citing information from customs officials in the capital Yinchuan. They also said it is the largest amount of Ningxia wine to be exported to the European Union so far. The second shipment will be on its way soon. Developing the wine industry is also an important part of Ningxia's poverty alleviation program. Official data showed the number of people living in poverty has been reduced by 674,500 since 2012, with 239,000 still remaining in poverty in 2017, or 3.5 percent of Ningxia's total population. Ningxia's wine industry has provided 120,000 jobs for villagers who have moved from impoverished areas, according to local authorities, Xinhua reported. A recent white paper on China's alcohol consumption released by research agency Hurun revealed that wine is the favored alcoholic beverage among Chinese women, with French brand Lafite topping other wines. The report cited statistics from the International Wine and Spirit Research organization, which said 35 percent of China's imported wines came from France, followed by imports from Australia, Spain, Chile and Italy. The organization also predicted that China will overtake Britain and France to become the world's second-largest wine market by value behind the US by 2020 as consumers turn to mid-range wines. Despite the fact that French wine exports to China tumbled 14.4 percent in 2018 to 1 billion euros, after growing 24.5 percent a year earlier, FEVS Chairman Antoine Leccia told Reuters that wine exporters remain confident and exports are expected to rise again in China. In addition to traditional transportation methods, some French wines are being shipped from France to China through China Railway Express, which connects 59 Chinese cities with 49 European cities in 15 countries. 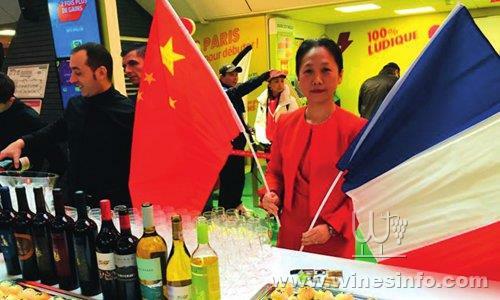 Liu Yuanyuan, a Paris-based employee of Yixinou, which runs the longest line of the China-Europe international freight trains, told the Global Times that the company has brought quality wine from France and Spain to Yiwu, China's largest small commodity market, and demand for French wine is rising. "Those priced under 300 yuan ($45) sell very well, and we are now launching classes in Beijing to teach Chinese people about wine culture and how to identify good wines," Liu said.